Here is the head of a stag. No more stag nights for him. 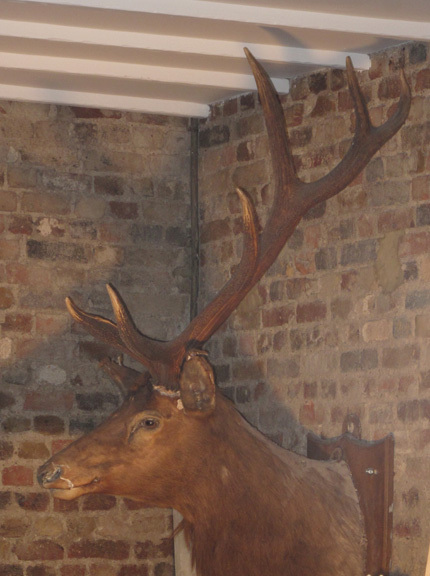 He has only one antler because the other one was sawn off when it failed to get through the doorway into a new restaurant/bar soon to open in Peckham. This venue will specialise in gin-based drinks. See how fancy we are becoming in SE15. By the way, some of my photos appear in Peckham Peculiar, a classy and hyper-local publication: http://peckhampeculiar.tumblr.com/ If you haven’t come across it, you can read it online. This entry was posted in Peckham, Photography, Rye Lane, street photo and tagged gin, Peckham Peculiar, stag, stag night. Bookmark the permalink.